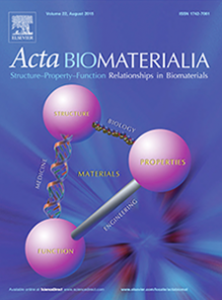 The results of research conducted by a Xeltis-led team on bioabsorbtion of supramolecular polymers have been published in peer-reviewed journal Acta Biomaterialia. Findings from the in vitro study identified absorbtion pathways of different supramolecular polymers that can help select the right combination of bioabsorbable materials for matrices with clinical application. The Xeltis bioabsorbable matrices are designed to work as actual heart valves, vessels or tissue, once implanted, and to start getting bioabsorbed when the body’s natural healing process pervades them with enough tissue to take over mechanical function.